True story. When I was a child, I was sure two things would occur when I grew up. The first made me sad. I thought Frank Sinatra would sing all the great songs before I became the world’s greatest singer and I would have nothing to sing. I knew nothing about music. And the truth remains, I can’t sing now and I couldn’t sing then. My other childhood thought was a happy one. I was excited because when I grew up people wouldn’t be prejudice anymore. All this foolishness about skin color would be a thing of the past. Can you say ‘sheltered’ and ‘naïve’? As I said-true story. I believed in the good in the world. I believed in the dream that Dr. M. L. King offered. I thank my parents for letting me have eternal optimism. My dad once told me not to judge a man by his skin color but by his actions. That stuck with me. Both my parents grew up in rural Louisiana. We visited there each summer. I was exposed to bigotry in a matter-of-fact way. 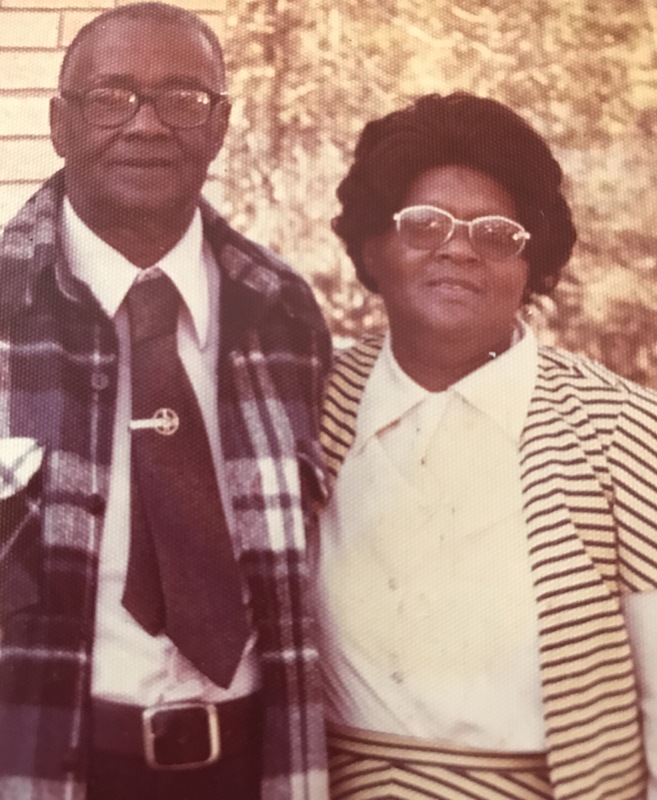 My great-grandmother, a deeply religious woman and respected pillar of the community, always gave her African-American yard man a drink of water when he finished his work. That drink was never given in the house and she had a ‘special’ glass for him to drink from-a mayonnaise jar. This also stuck with me. Years later I wrote a screenplay called The Mayonnaise Jar”. My parents were not the only ones shaping my little mind on this issue of race. My grandmother had a black lady, Ellen, that worked for her everyday. If you read or saw the movie, The Help, you get an idea of how this system worked. Ellen cooked the meals for my grandparents and took care of the house. I’m not sure why, but I just never felt like I fit in with all my relatives. My older sister had cousins closer to her age and she seemed to easily find her place. My younger brother seemed fine, too. Ellen must have sensed my discomfort. When we visited she was always happy to see me. She made an effort to spend time with me and let me tag along as she did her duties. I don’t believe I lacked self-esteem at this time but she always knew what to say to make me feel important. She was my friend. I believe she is a big part of why I’m writing this blog today. At some point in my life, the issue of racism became important to me. I had no tolerance for those who judged others based on skin color. I can’t put my finger on the defining moment that I became sensitive to this issue but I know it was in the late sixties or early seventies. I’m sure it ties to the kindness Ellen showed me. I wish she was alive today so I could thank her. I was exposed to Martin Luther King in the same way most children my age were. We saw news stories on our limited television channels. In most homes, the news was as much a part of the evening routine as dinner was. I wish I could tell you the exact moment I connected with Mr. King. I don’t know. It was probably after he was assassinated. I was eight when this happened. I only know that I’ve always held the highest esteem for him. I saw the need for what he was doing and admired his nonviolent stance. Today is important because we must remember what happened in regards to Civil Rights because of MLK. If not, we are likely to loss our stride in the ongoing battle against hate. We have such a long way to go. I think I’m evolved in this area and I’ve got a long way to go. I’ll share this last story and then wrap it up. One day I told my clever daughter that I was not a racist. She told me everyone was a little racist. I didn’t believe her, and then there was that moment in New York. I was walking on the street as I had been doing all day. I looked up and an African-American man was walking towards me and I became highly concerned as to where my purse was. I pulled it a little closer to my side. He passed without any concern for my purse but in that moment I knew. I knew my daughter was right. Embedded deep within my being I still reacted a certain way. This man was in no way threatening. I was environmentally conditioned. This has also stuck with me many years. We need to start having conversations about how to come together and live as we should. We need to be keenly aware that until you walk in someone’s shoes, you can’t begin to imagine their life. Stop believing you can and stop judging others based on stereotypical bias.I’m just one crazy old lady living in middle America but I know that no matter what doctrine you believe, there are words that tell you to love your neighbor. That doctrine doesn’t say based on religion, geography or skin color. There is no fine print. I live in a small town and there won’t be a parade honoring Mr. King today so I’m writing this blog to do my part in celebrating the day. I know now that I won’t live to see a day when we treat all people equally but I still believe in the good of the world. I believe we can move in that direction by conversation and compassion. My children are so much smarter than I was at their age. They care about humanity in a way I never even thought about as a self-absorbed twenty something. Together, we can help the world move in the right direction. Happy MKL day to everyone! Thank you for voicing these important truths.